Enjoy a free NHS funded eye test at North. For information on free NHS eye tests and optical vouchers, visit the NHS website which you can find here. We offer free NHS appointments to all our eligible customers. Unlike most other opticians, your free NHS eye test will be a comprehensive 40-minute appointment. This time allows Iain to understand your optical history and offer his best advice on your prescription and eye care. 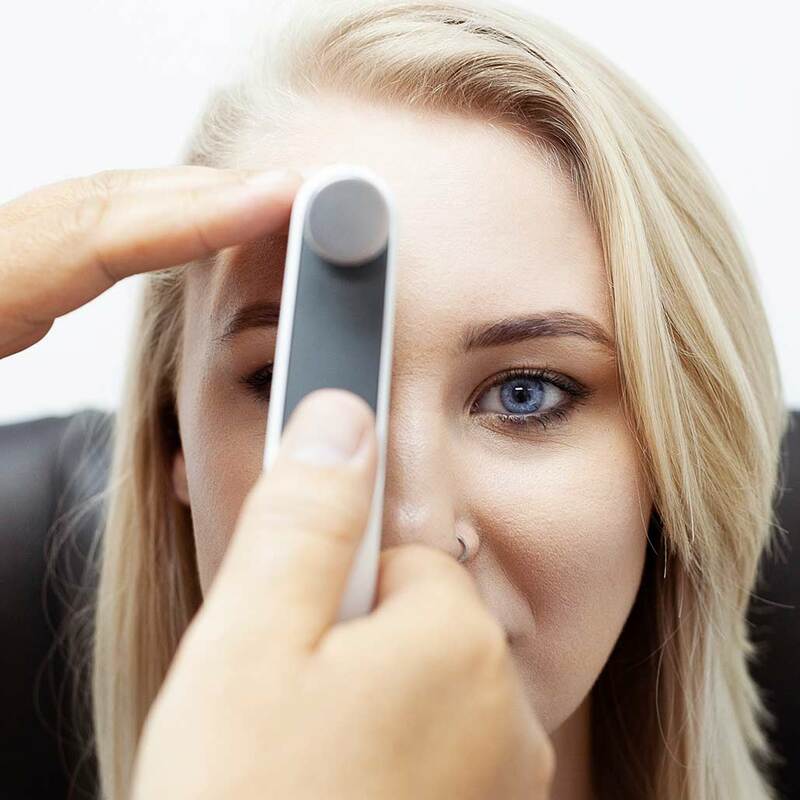 For just £22.50, you can experience an advanced eye test. * This comprehensive eye test uses an OCT machine, which offers valuable insights into your overall ocular health. Based on the findings of your test, Iain will be able to offer advice on how to change your behaviour to better support your ocular health. *This price is only available once a free NHS eye test has been carried out.